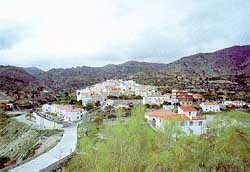 This municipality in the Almeria province is situated in the Almanzora Valley and only 65 kilometres away from the capital city of Almeria. Albox is characterised by its rich gastronomy, its culture and its traditions transmitted over the years since the Arab reign, Albox’s origin. Albox was founded during the Arab reign in al-Andalus, in the early 13th century there was already evidence of its existence very linked to the splendour of the Granada Kingdom. Albox was a prosperous place until in the 15th century it was conquered by the Christians, disappearing into oblivion until in the year 1500 it suffered a great earthquake that destroyed most of the village, so they dismantled the existing castle to repair the damaged houses. After the conquest by the catholic kings many moors that wanted to stay were forced to convert to Christianity, although they were always treated as second-class citizens all around Andalusia, reason for which they revolted against the established power and ended up being expelled from Albox and other provinces. Albox was repopulated with Christians brought down from Valencia and La Mancha, it’s interior location away from the coast, helped to avoid the constant pirate attacks which was why its growth wasn’t influenced by external factors. The beginnings of the 19th century were specially important for Albox, who achieved economically thanks to its weaving looms and to the craftsmanship’s industry. 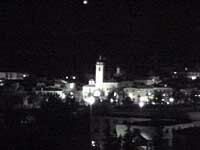 Albox’s population has maintained stable since the year 1900, between 10.000 and 11.000 inhabitants. Originally religious, it currently has a more festive atmosphere where the people gather each year in the morning of the 8th of September to march from the village to the 'Saliente' Monastery..
Its origin dates back to the old cattle fairs, although in time and with the change of customs the fair gradually changed to a popular festivity, being today one of the most important fairs in Almeria. If we want to get to Albox, we must head towards Loja and Granada, passing by Guadix and Baza, Albox is located at the northeast of Almeria . The nearest airport is Almeria airport, situated about 90 kilometres away. 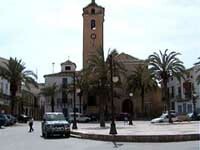 The A-334 road that crosses the Almanzora Valley will take us directly to the municipality of Albox. To get from Malaga to Albox, we must take the A-45 road towards Casabermeja and pass by Loja using the A-92. We’ll border the Sierra de Baza along the N-342 until we reach the city of Baza, where we’ll head towards Caniles and without turning off we’ll reach Albox.